LEND is off to an impressive start. 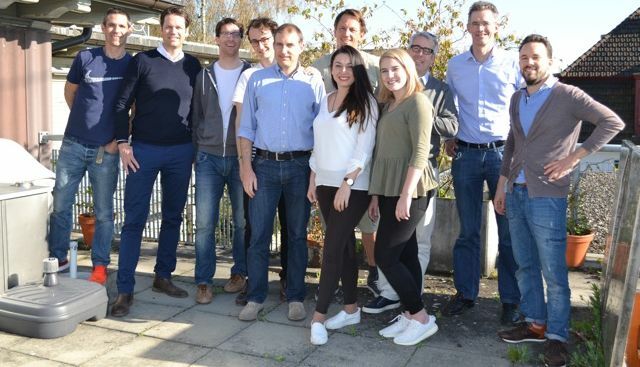 Since its launch in January 2016, the company has attracted more than 4000 users and has funded 300 credit projects, with exponential growth since the seed round last June (CHF 1.65 million). In March of 2016, CHF 130’000 were funded through the platform, and the same month this year has a total funding volume which stands at CHF 1.8 million. Thanks to its stringent underwriting policy (85% of requests are rejected), lenders earned an average return after fees of 6.2% in 2016, with a remarkable default rate of 0%. The new capital will be used to further enhance automation, customer usability and increase marketing of the platforms within Switzerland and quickly achieve critical mass to disrupt the CHF 7.2 billion loan market. “We believe that personal loan is a particularly interesting asset class due its size, rate of return and default rate in Switzerland. Today, there are very few opportunities to be invested in this market and LEND is changing this. We have been impressed by the milestones accomplished by the team over the last year and look forward to helping the company grow further.” says Guillaume Dubray, Managing Partner at Polytech Ecosystem Ventures. Long-standing processes and established business models are currently being disrupted by digitisation. Platforms on the forefront of this transformation eliminate expensive middlemen by directly intermediating between those on the supply side and those on the demand side of the equation, passing on substantial cost benefits to all their clients. No other commodity is as standardised and tradable as money. Instead of renting out your house, private and institutional investors can “rent out” their money via peer to peer platforms such as LEND to private individuals. Thanks to the platform’s efficient processing, lenders earn higher returns, at comparable risks, than with conventional banking products. At the same time, borrowers get funding at more favourable rates than traditional banks can offer. Crowdlending is already an established business model worldwide and has been growing rapidly in Switzerland. LEND predicts a market growth rate above 200%, a figure that is tracked by the institute for financial services in Zug (IFZ) and published in May. In the past year, LEND achieved several structural milestones. A quantitative model for ex-pected default rates was developed in exclusive partnership with Intrum Justita, allowing LEND to precisely assess and differentiate between credit risks. External asset managers have a comprehensive view of their clients’ portfolio with a custom-designed dashboard that perfectly meets their needs. Stefan Jaecklin, former Head Oliver Wyman Switzerland, the global financial services consulting company, and Luzius Anderegg, senior software developer at Ergon Informatik, the leading software company in Switzerland, join LEND in April.